311,62 g, Australian Kangaroo Gold Coin - Moro & Kunst d.o.o. 1991 was the first year the gold 10 oz. 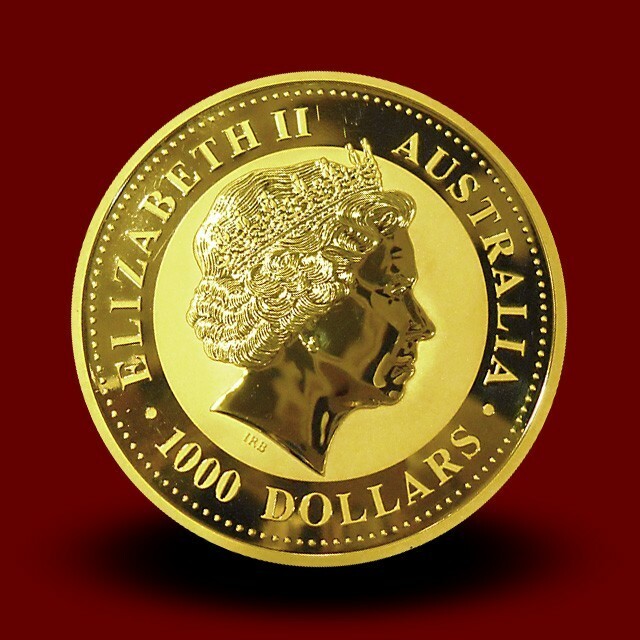 size of the Australian Gold Nugget bullion coin was released. Some of them already have a higher, numismatic value. The obverse side displays the profile of Queen Elizabeth II struck in proof-like quality. Reverse: The words "The Australian Nugget" (1991-2007) or ''The Australian Kangaroo'' (since 2008) are displayed across the top of the coin.